Now you can transform your television into a home theater with some small devices and enjoy video streaming without having any computing device. 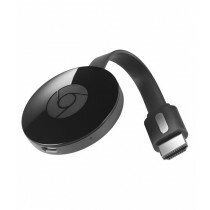 Streaming media player is an efficient device that could attach with television through cord and HDMI ports. You can stream audio and video through the internet and spend quality time at your place. As technology developers are focusing toward developing a wireless environment that's why approximately all gadget and technical device have some option like Bluetooth and Wi-Fi that could connect different devices together. 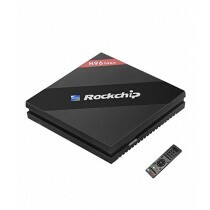 Recently, some reputed brand also launches a built-in Wi-Fi model of streaming media player to operate the system without connecting multiple wires. These systems could operate with their particular remote control system as it seems to bring the control of the entire system into a hand of an individual. Streaming media player prices in Pakistan bring confidence in the purchasing decision as it is ideal in front of multiple technologies. Streaming media player prices in Pakistan also varying with respect to few functions and these are: view of stored photos, flash memory card, external drives like USB. Many streaming media players also have some feature that allows to play the saved music on a similar medium. Some streaming media player also let you enjoy those videos on your home network that already downloaded on a computing device. 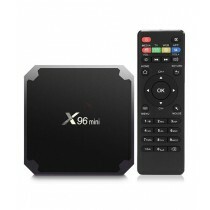 These devices also support to enjoy the benefits of other apps like Twitter and YouTube with the best quality. There are numerous brands of streaming media player that is also serving their latest original models in the premises of Pakistan. 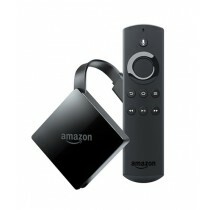 These brands mainly include Apple, Roku, Sony, Western Digital, Google, Amazon, and many more. Streaming media player prices in Pakistan are extremely reasonable through which Pakistanis don't need to burden their pockets at all. Now Pakistani peoples also attracting toward the latest technologies that's why demand of numerous electronic and technological items in the region of Pakistan is increasing day by day. Streaming media player also getting famous in Pakistan that's why some known brands are also offering their upgraded streaming media player to Pakistani with the help of some trustworthy distributors. Streaming media players prices in Pakistan is true to the usage and benefits that's why peoples feel confidence while bringing it for their place. iShopping.pk is one of the reputed online store of Pakistan that always take each step to meets the shopping need of an individual. We are focusing toward the expansion of genuine products at the single store that fits with the different need of Pakistanis. Streaming media players of different international brands are also the part of our latest collection through which you can easily purchase the original one without paying extra charges. Streaming media players prices in Pakistan will definitely enforce you to place an order and make it yours – Don't wait anymore and basket your favorite one before you miss it.